Although some historians say that Thomas Kelsey was a Lord Warden during the Interregnum (1649-1660), when England was without a monarchy, the office of Lord Warden of the Cinque Ports, as such, did not exist at that time. Instead the position of the Captain of Dover Castle was created that, in many respects, emulated that of the Lord Warden and Thomas was given that office. Later he was to rise to the specially created Governor of Kent & Sussex and was also elected Dover’s Member of Parliament. It appears that Thomas Kelsey (d circa 1680) may have come from humble beginnings for it is stated that he could have been the son of a poor button maker of Birchin Lane, London. How he spent his early life is a mystery, possibly he was apprenticed to a trade at an early age. Nonetheless, on 22 August 1642, when Charles I (1626-1649) raised his standard at Nottingham initiating the Civil Wars (1642–1651), Thomas was to be seen on the Parliamentary side. In fact, he had already attained the office of Major in the Foot Regiment of Colonel Edward Montagu, 2nd Earl of Manchester (1602 –1671). The Earl’s Lieutenant-General was Oliver Cromwell (1599–1658). 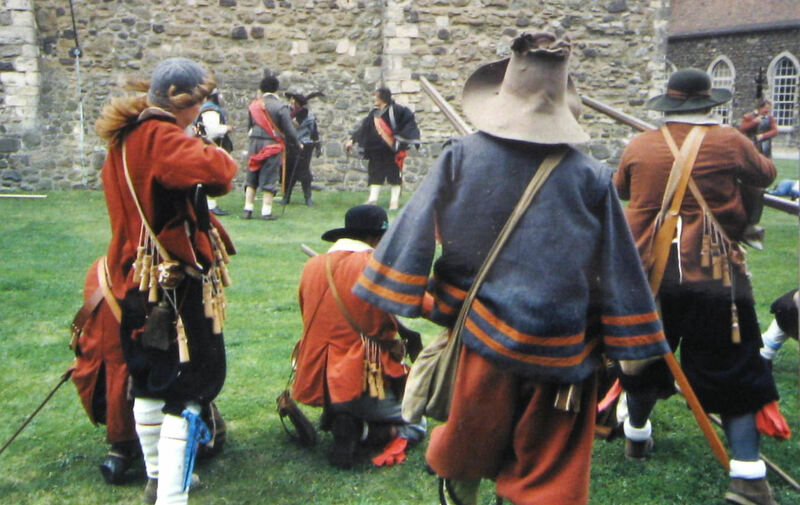 The Parliamentary army, re-formed and renamed the New Model Army (NMA) in 1645, was under Thomas Fairfax (1612-1671). It was the first ‘professional army’ that England had ever known and quickly became a highly efficient fighting machine. Further, aristocrats and members of Parliament were excluded from command, which meant that the Earl of Manchester lost his position and because of that, Thomas was transferred to Colonel Sir Richard Ingoldsby (1617–1685) regiment. Very soon he was promoted to Lieutenant-Colonel. In the meantime, Charles I was defeated at Marston Moor (2 July 1644) and it was expected, not only by the Parliamentary forces but also in his own circle, that the King’s forces would be caught in Oxford and compelled to surrender. 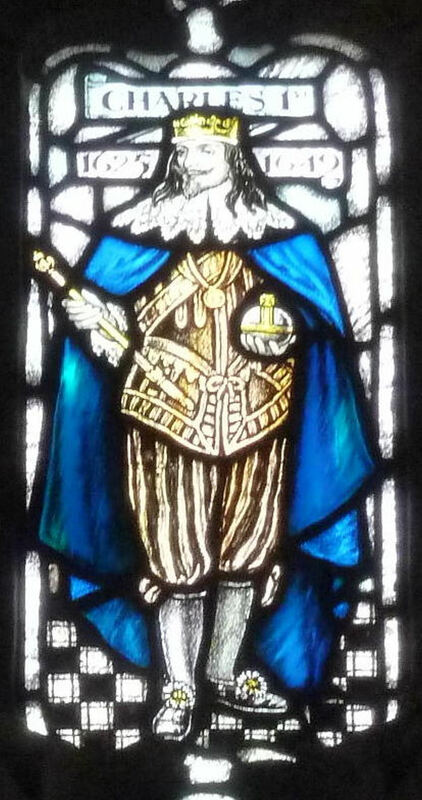 However, Charles and his Cavaliers – the name given to Royalist supporters – were wily and after providing for the defence Oxford, they eluded the NMA and reached Worcester where they were to hold their own in the ensuing battles. In late November 1644, active warfare paused and Charles re-entered Oxford in triumph. Albeit, by the spring of 1646 all armed resistance to the NMA was beaten down and on 25 June, the Royalist forces were forced to surrender the city. Thomas was appointed Deputy Governor of Oxford and entered into the university life by enrolling as a student – gaining his MA in 1648. Moreover, as a devout Puritan he played a prominent part in ensuring that Puritan views were expressed by the university academics. In London, Parliament satisfied with the outcome of the Civil Wars, saw very little use for the NMA and sought to disband it. However, the soldiers pay was in arrears and there was a fundamental difference in the military and religious ideology between Parliament and the leading officers of the NMA. This came to a head in February 1647, when Charles I, who had been captured by the Scots, was handed over to Parliament on condition that his safety was guaranteed. At the time many in Parliament hoped that Charles would be restored as King but with Parliamentary constraints. The officers of the NMA, however, wished to put the King on trial. Riots and revolts were becoming commonplace throughout the country and Kent was to be the centre of the most significant one of the whole period. Like many such revolts, it was something relatively minor that sparked it. 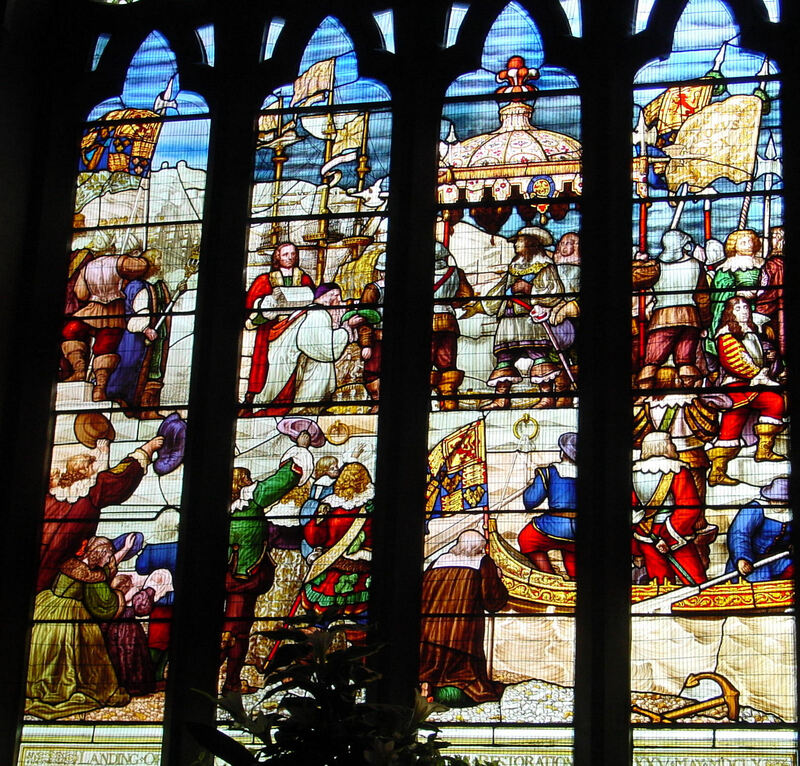 The mayor of Canterbury announced that Christmas Day 1647 was to be treated as a working day. The citizens were angry and riots ensued with the ringleaders holding the reigns of power for about month. When order was restored retribution was to quickly follow. The ringleaders were rounded up, and put on trial with the jury drawn from Kent’s squireocracy. It was thought that this would appear fair but because of the difference in class the ringleaders would be made an example. Instead, the jury ignored the charges and petitioned against the oppressive rule! Some twenty thousand people signed the petition and it was arranged that on 29 May 1648 the organisers would assemble on Blackheath and carry the document to Parliament. However, the County Committee, the administrative body accountable only to Parliament, ordered that the meeting be cancelled. This led to a county wide rebellion with Walmer, Deal and Sandown castles quickly being taken. The fleet, lying in the Downs, joined in and soon only Dover Castle was in the hands of the Parliamentarians. One of the leaders of the rebellion, Sir Richard Hardres, marshalled some 2,000 men to mount an offensive. They quickly seized the Mote Bulwark and they used the ammunition that they found to bombard the Castle but failed. Nonetheless, they still held siege to it. 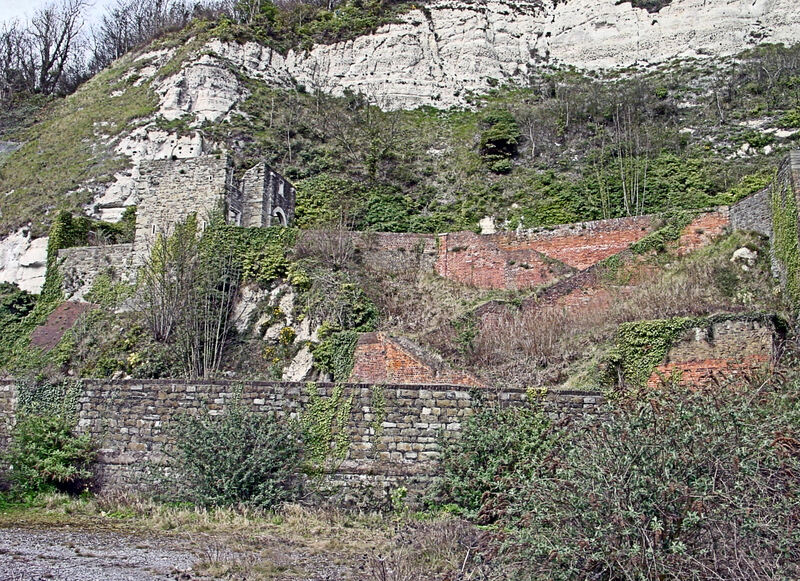 To deal with the insurrection, Parliament called in the NMA and Lord Rich and Colonel Birkhamstead were despatched to relieve Dover and recover the castles on the coast. On 30 May, Colonel Birkhamstead relieved Dover Castle and Lord Rich retook Walmer, Deal and Sandown Castles. In the north, General Oliver Cromwell had routed a rebellion two weeks earlier and in Oxford, Thomas Kelsey had successfully nipped a proposed rebellion in the bud. On 6 December that year – 1648 – Colonel Thomas Pride purged the House of Commons of members unsympathetic to the NMA’s views and Charles I was placed under arrest. On 2nd January 1649, a court was set up to try the King, one of the judges being Dover’s Member of Parliament, Colonel John Dixwell (c1607- 1689). On the 30 January Charles I was executed and Cromwell took up the reigns of power. Under the new regime Kent’s strategic importance increased as the sons of the executed Charles I – Charles (later Charles II 1649-1685) and James (later James II 1685–1688) and their supporters had fled to the Continent. The post of Captain of the Castle was created and held by a succession of NMA officers but Royalist agitation increased in the county. In 1650 Sir Thomas Peyton 2nd Baronet of Knowlton (1613–1684) near Sandwich; John Tufton 2nd Earl of Thanet (1608–1664) and county gentlemen such as Sir Arnold Braemes (1602-1681) of Dover, met with other cavalier leaders in London. There they surreptitiously purchased and conveyed to various Kentish manor-houses, arms and ammunition. 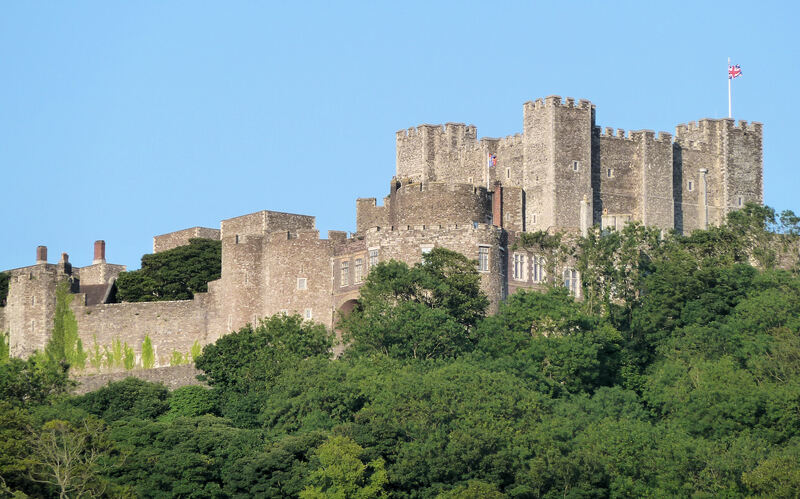 It was agreed that the neighbouring counties would stage a rising in March 1651 to draw the Army away from Kent, and then the Royalist conspirators would seize Dover Castle. 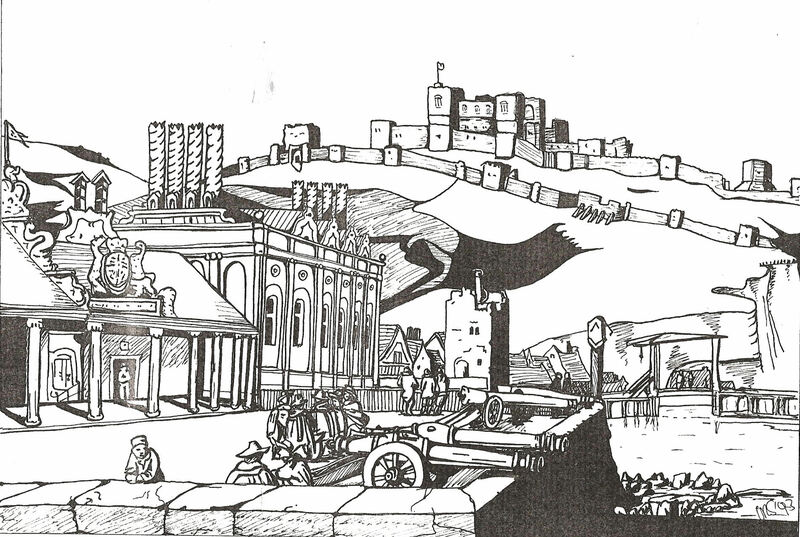 The Conspiracy was betrayed, Dover Castle was secured by Sir Algernon Sidney (1623–1683) and the uprising came to nothing. The Council of State, however, felt it necessary to bring in someone more capable and Thomas Kelsey was appointed. He immediately and meticulously organised a search throughout the county for Royalists. At the same time he set guards along the Kentish coast and arrested anyone it was felt were suspicious arriving from the Continent. So successful was Thomas at totally quietening all opposition he was promoted to the position of Governor of Kent and Sussex. Besides Charles and James, Charles I had younger son, Henry Stuart, Duke of Gloucester (1640-1660) and three daughters, one of which was Elizabeth (1635-1650). The young prince and princess were held in Carisbrooke Castle on the Isle of Wight when it was decreed that they should be moved ‘to a fit place beyond the seas.’ Before the decision was implemented, however, the little princess died. On 13 February 1652 a tiny ship, hired by the State, left Cowes but due to bad weather off Dover, was laid off the Goodwin Sands for three days. The master of the ship sought the urgent help from the Mayor of Dover, William Cullen (Mayor 1651,52,57, & 58), saying that ‘he was most alarmed that his important passenger might succumb whilst in his care.’ William Cullen arranged for the young prince to be moved to a private house in Deal saying that this had been done with the utmost secrecy and hoped ‘that he would be forgiven for taking a wretchedly seasick child out of the cockleshell that he had been tossed about for three nights.‘ Thomas ensured that he was. However, there were new threats to the safety of the country, mainly from Holland. Trouble began in October 1651 with Cromwell introducing the Act of Navigation, whereby any goods imported into England or transferred from one English colony to another, could only be carried in English ships. This meant, for instance, that goods carried on Dutch ships would not be allowed into the country or any of the dominions unless a hefty customs duty was paid. Further, to ensure that the Act was being adhered to, English customs had the right to search any Dutch ships passing through the Strait of Dover and confiscate any unlawful goods on board along with the ship. This was not particularly popular with Continental traders, especially the Dutch who had a number of overseas territories. It was only a matter of time before things came to a head and this happened on 19 May 1652. The Dutch Admiral Maarten Harpertszoon Tromp (1598–1653) was leading a convoy of 44 ships along the Downs, off the east coast of Kent, and he refused to strike, that is, lower his flag in acknowledgement of the English fleet. The fleet was headed by Admiral Robert Blake (1598–1657) who had some fifteen vessels under his command. In response, Blake ordered a shot to be fired across Tromp’s bows to which the Admiral retaliated with a broadside and a fierce battle began lasting 5 hours. At the outset, the English were saved only by the poor gunnery on the part of the Dutch, which gave them time to send for reinforcements. Thomas Kelsey arranged for eight ships from Dover under the command of a Captain Bourne. At the same time John Dixwell, Dover’s MP, used his special powers to raise a county militia to guard the coast. Blake’s forces sank one Dutch ship and took another and at night fall the Dutch fleet retired towards Holland. 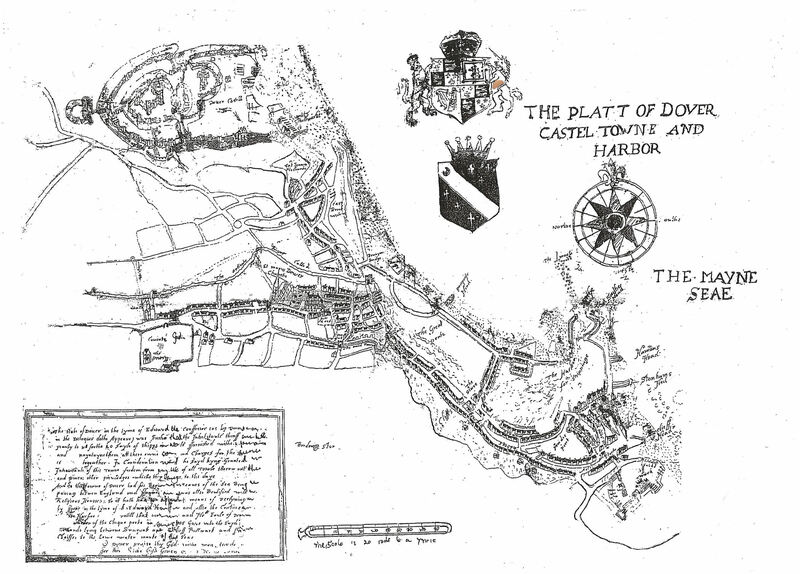 William Eldred’s Map of Dover Harbour 1641. Blake reported what happened and in response, the Council of State, on behalf of Cromwell, wrote to Dover’s Mayor William Cullen, ‘and The men of the Toune who so cheerfully went forth to assist in defence of their country which good seruice of theirs’. They also directed that the Dover men who had participated should be rewarded out of the prizes taken by the English fleet while the town was promised finance to build a new harbour pier. 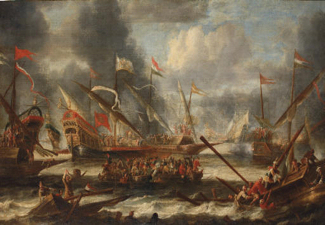 At the national level, the Dutch ambassadors demanded redress of injuries to their fleet but this was in vain and so began the first of several Dutch Wars. That summer Dover became a very busy place, supplying victuals, from the Maison Dieu, dealing with prisoners and providing men and ships. For the latter, the Council of State agreed that the next navy ship, which was launched in 1654, to be named Dover. Meanwhile other naval battles ensued but it was the blockade of Texal, near the Dutch coast, that resulted in the last battle of the First Dutch War. There Admiral Von Tromp was killed and the Dutch lost 26 ships and 6000 men but the English also suffered heavy losses. When the blockade was broken, peace negotiations followed leading to the Treaty of Westminster in April 1654. The cost of the militia defending the coast came from taxes imposed by Cromwell. In Kent and Sussex, Thomas levied the tax proportionately greater on the wealthy and the expense of administering it was less than 9% of the total receipts. By 1654 Cromwell had appointed as the High Sheriff of Kent – the principal law enforcement officer in the county – known Royalist, John Tufton Earl of Thanet. The Earl, at the time was paying £157 tax every six months on his estates that he resented. That year, against a significant opposition, Thomas was elected to represent Sandwich in Parliament. At Dover, Thomas reported that, ‘the rabble of the town’ endeavoured to return George Cony, who had challenged at law the right of Cromwell to collect taxes. Early the following year Thomas was told by his informants that, ‘the b’faces and carriages of the malignants’ indicated that new storms were rising, and that the Cavaliers were ‘only waiting an opportunity to imbrue their hands with blood’. 13 February had been fixed for the insurrection and to the rebels it appeared that Thomas was either oblivious or no longer cared. 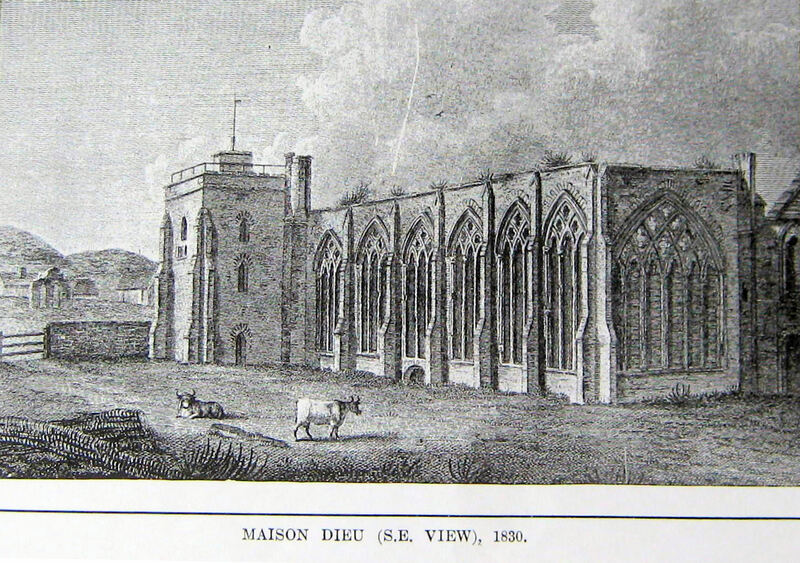 Just before the rebellion began, Thomas arrested Kent’s High Sheriff – John Tufton – while he was travelling to Davington Priory, Faversham. There, in the cloisters of the old convent the Earl and other Royalists had hidden the ammunition for the uprising. Thomas had already signed the arrest warrants for all the known county cavaliers and he gave the order for them to be issued. In his preparations, the number of guards had been increased at Rochester, Queenborough, Deal, Walmer and Sandown castles and guards had been set along the Kentish coast. All who arrived from the Continent were held and many were subsequently arrested. John Tufton the Earl of Thanet was consigned to the Tower of London while other Kent cavaliers, including Sir Thomas Peyton, whose estate at Knowlton was the centre of Royalist conspiracies, and members of the Braemes family, were also incarcerated. To pay for the militia and his informants Thomas levied further taxes on the arrested cavalier’s estates. Although the rising was countrywide, by successfully stopping the Kent rebellion Thomas had protected the most vulnerable of the English counties. As a reward, Cromwell appointed him one of the Commissioners for the management of the Navy. In 1656, Thomas represented Dover as Member of Parliament and it was during this session that he publicly proclaimed his undying loyalty to Cromwell. Two years later, on 3 September 1658, Oliver Cromwell died and in his last hours he nominated his eldest son, Richard, to succeed him. At first the Army accepted Richard but when he attempted to exercise authority he found that he was impotent. At the same time, the Army was beginning to fractionalise and many, including Thomas, put their signature to a proclamation asking for the Rump Parliament, which had been dismissed in 1653, to be recalled. Others saw this as a sign of weakness in the army and the cavaliers. The latter, in August 1659, attempted yet another uprising but Thomas ruthlessly put it down. By Christmas General George Monck (1608–1670), declared himself to be reconciled with Parliament and in January 1660 John Dixwell was appointed Governor of Dover Castle. In February, Parliament having being recalled, Monck dissolved it. He immediately established a new Parliament that included members excluded following ‘Pride’s Purge’ of 1648. They declared Monck Commander-in-Chief of all forces and then dissolved Parliament again! Monck satisfied that a free Parliament should be summoned, which would certainly recall Charles II, pulled his troops out including Thomas. On 25 May 1660, Charles II (1649-1685) landed at Dover and the monarchy was restored. Although the new Parliament wanted to punish those who had held power since 1649, prior to the Restoration, the King had said that only those who signed his father’s death warrant and a handful of others were to be prosecuted. Thomas had not signed the death warrant but he felt it expedient to get out of the country and escaped to Holland. He resided there until 1672 when, through diplomatic measures, he was allowed to return to his homeland. On returning he set up trade as a brewer in London. Eight years later Thomas Kelsey, once the ruler of Kent and Sussex, died apparently ‘in a mean condition’. This entry was posted in Cinque Ports, Civil Wars and Interregnum, Kelsey Thomas - Governor of Kent & Sussex and the Battle of Dover, Kelsey Thomas - Governor of Kent & Sussex and the Battle of Dover, Kelsey Thomas - Governor of Kent & Sussex and the Battle of Dover, Kelsey Thomas - Governor of Kent & Sussex and the Battle of Dover, Members of Parliament, People. Bookmark the permalink.